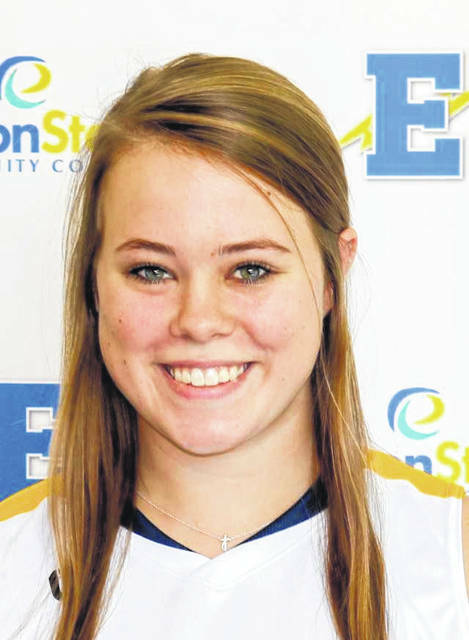 The Ohio Community College Athletic Conference (has named Edison State Community College freshman Sarah Pothast (Wapakoneta) the Division II women’s basketball Player of the Week for Jan.14-20. It is Pothast’s second straight week winning the award. Pothast registered a 24-point, 11-rebound double-double in the Chargers lone contest, an 81-41 blitzing on the road at Clark State. She dropped in 8-of-14 from both the floor and the charity stripe. Five of her 11 boards were on the offensive glass, and she added a steal and block while taking care of the ball with one turnover in 30 minutes logged. This marks Edison State’s sixth weekly women’s award of 2018-19 and Pothast’s second consecutive weekly honor. Pothast is averaging 16.1 points per game in her first season at Edison State (14-2, 4-1 OCCAC).